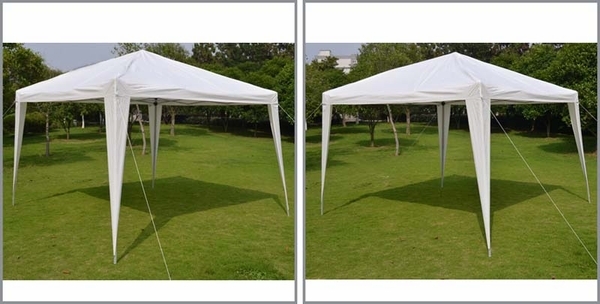 Keep the party going, rain or shine! 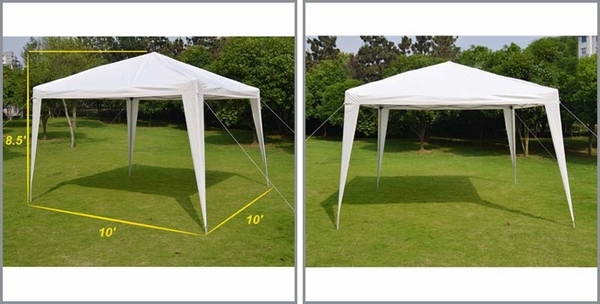 The Sunrise Umbrella 10' x 10' Wedding Party Tent is perfect for any outdoor party. 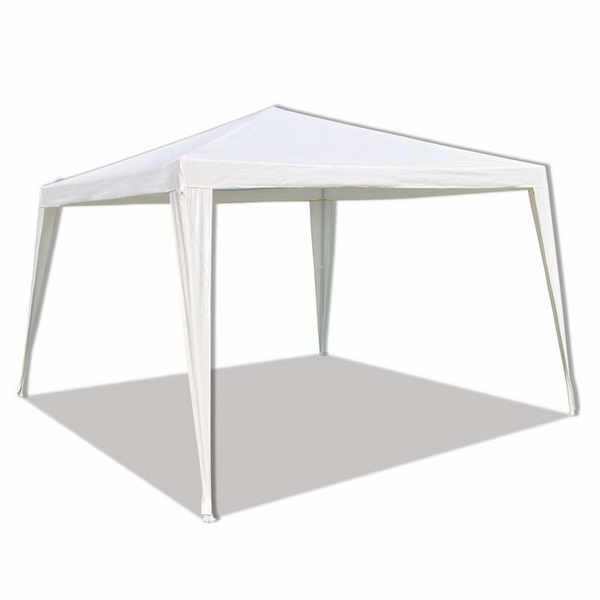 This smaller size is hyper-portable and perfect for protecting a buffet or gift table from the elements. 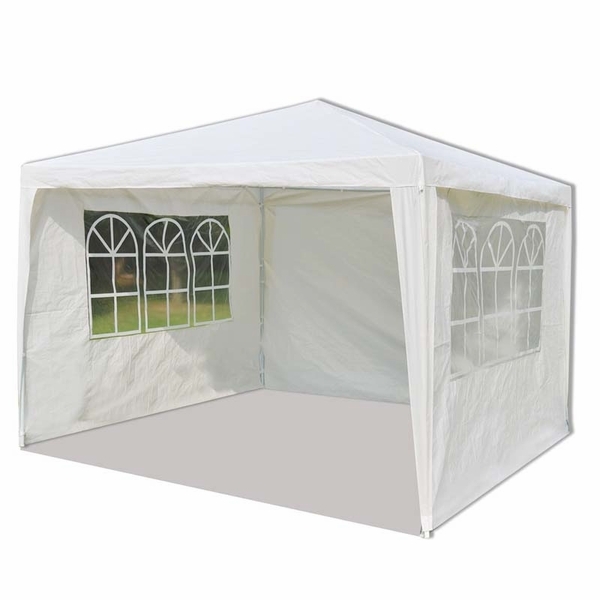 The waterproof PE covering will even protect you and your guests from UV rays if the sun comes out in full force. 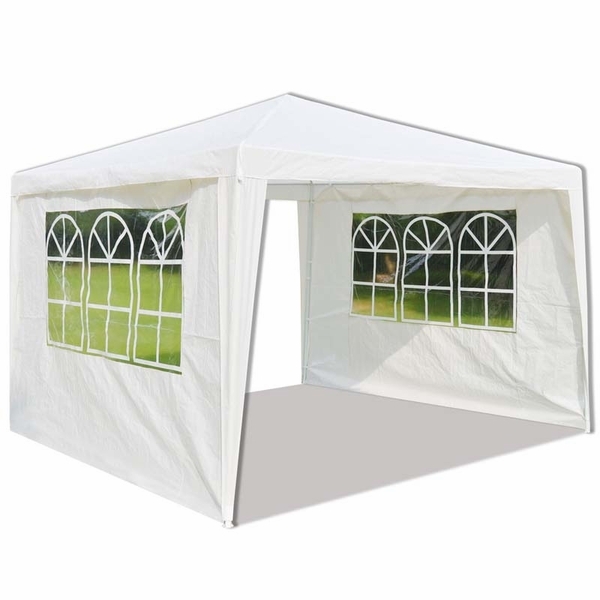 The removable walls feature classy window accents that will make your guests forget they are standing under a temporary party tent rather than on a veranda. 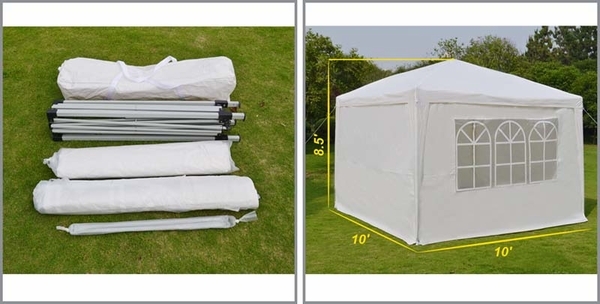 Assembly is quick and simple - no obscure tools required. 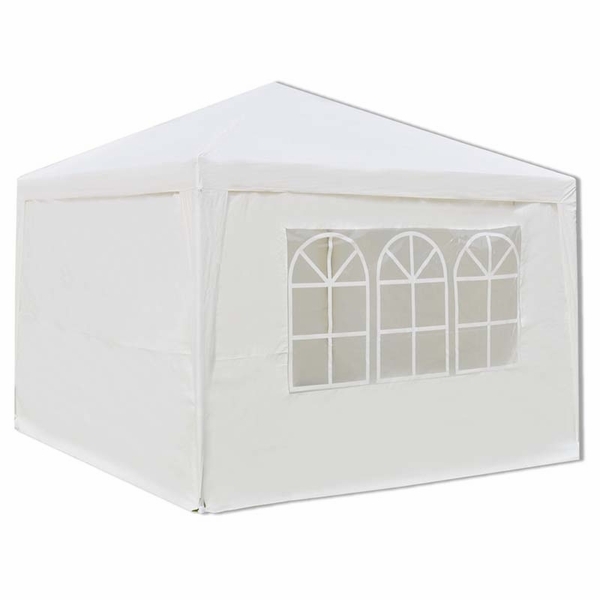 Keep your party decor safe, and your guests dry, with this stylish outdoor tent.